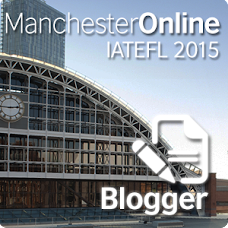 An interesting discussion has just started on the IATEFL BESIG (Business English) YG email list about blogging and Business English (BE). It started when Cleve asked about BE and BESIG blogs, wondering why they weren't any (many?). > your blog; fine, I get that. But discourse? Forgive me,for I hate online forums ;) I find them to be very cold, impersonal spaces, and (often) full of unanswered quesrtions. Email lists, however are fine. But, iIn my experience, blogs have a greater potential for discussion and community building, although I admit that this is in its beginning stages at the moment. Really, what we have here (in the BESIG list) is a series of discussion posts and replies that are delivered to your in-box that you choose to read (or not) and reply to (or not). The only difference between this and a blogging community is that you go to the blog for the discussion (unless you subscribe to feeds and use an aggregator of course). I think it's also arguable that an email discussion list has more discussion going on than a blog. How many of the members subscribed to this list actually actively participate? How many read all the emails? How many read any of the emails? Don't you sometimes get annoyed when your inbox gets clogged up by hundreds of emails about subjects you aren't the slightest bit interested in? >And what can a blog do that a plain old website can't? Show me a website that is changed frequently (sometimes even several times a day) with topical discussion and up-to-the minute references, and you'll find what you are probably looking at is a weblog. A welog IS a website, and there are areas where both coincide. One advantage a blog has over a traditional website is that it can be more easily updated by non-technically minded people, and that makes it easier for students to get involved in web publishing. This is of course is the p.o.v. of someone who has been actively blogging for a year-and-a-half, and I quite understand that it can be incomprehensible to those of us who are not familiar with weblogs. All I ask of you is to keep an open mind. I don't think that we should encourage all our students to blog, or that it's of interest to all teachers, but I do believe it has a place to play in EFL/ESL learning. And why not BE learning? The Search Engine FindForward has the option to produce a search query as an RSS feed. From the site, enter a term to search on and select "Get RSS" from the drop-down menu. This can then be included in an aggregator and I suppose you can stay updated on specific search listings. Great, now how can I best use this? I couldn't make the session, but decided to make a summary about what was discussed, with my own comments & observations. "With blogs...anybody with an internet connection can engage anybody else. Concepts are presented, attacked, sliced, diced, added to and subtracted from, mangled, massaged and molded until what is left is an amalgam of the finest we as an online society have to offer. For the digitally well-endowed, it's akin to free-market capitalism, with information as its currency. And not only do we all get to watch, we can join in. " - creating new products and solutions to problems. - Teachers were passionate about their work. The most meaningful activities were "invented" by the teacher or student. - Students sensed that results of their work were not fully predictable." James Farmer on his blog links to a survey on Course Management Systems (CMS) used by universities, noting that two of the most popular ones (WebCT and Blackboard) were both criticized for various problems. Incorporated subversion by James Farmer takes a look at blogs vs discussion lists in online learning environments (OLEs). Discussion Boards "offer little opportunity for users to “project themselves socially and emotionally, as ‘real’ people”...In developing teaching presence in a discussion board environment the teacher has no more capacity than the learner in terms of sustaining discourse or of projecting him or herself as a “real” person." As a contrast, he notes that "In terms establishing social presence it can be argued that weblogs offer a significant opportunity for users to project themselves as “real” people." "while discussion boards may have a role to play in the shaping of future OLEs it is arguable that this role should be complemented by the implementation, within or alongside these systems, of weblogging functionality." Linguablogs is a list of "blogs by language nerds"
Digital Portfolios Resources has a large collection of links all about using digital portfolios, and including stuff about using weblogs as part of digital portfolios. I aslo came across The Digital Portfolio Weblog/Webquest which looks worth investigating. "This commentary examines how content originally designed for entertainment purposes can be modified to provide natural and context rich language learning environments, without sacrificing its entertainment value. First, I examine a modification to the number one selling video game The Simsthat intelligently combines game data from the English edition with data from editions of other languages to form a bilingual gaming environment. This exposes learners to abundant L2 vocabulary, yet still provides enough L1 support not to detract from the game"
I've just had an idea to extend it - students could also set up a blog and post to it as if they were a member of their Sims family.